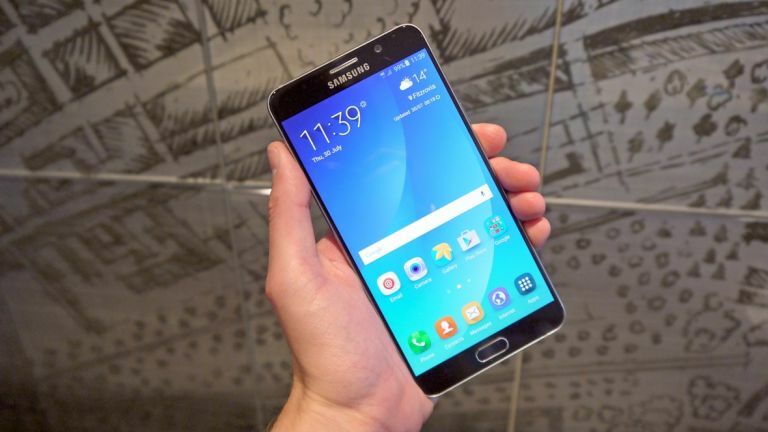 Samsung's Galaxy Note 5 looks set to finally launch in the UK, if a new listing is to be believed. Samsung revealed both the Galaxy S6 Edge+ and Galaxy Note 5 a couple of weeks ago. The former has now launched in the UK but there's no news on whether the latest stylus-toting Note phablet will launch on this side of the pond. A new FCC listing has been spotted suggesting the phone will in fact come to Europe though. It has the name “SM-N920F” and that “F” at the end is to show it's a European device. A new benchmarking for the same device has also been found on Geekbench that shows a very similar phone to what the US have in their pockets - but this time there's only 3GB of RAM on board rather than 4GB. There may be an error in the benchmarking software or it may even be a prototype device with less RAM but at the moment it looks like we'll be getting a slightly different phone here in the UK. In the meantime, the Galaxy S6 Edge+ is here in the UK as we speak. It features a 5.7-inch display with curved edges as well as a similar under the hood spec to the Galaxy Note 5. Read our hands-on review of the Galaxy S6 Edge+.